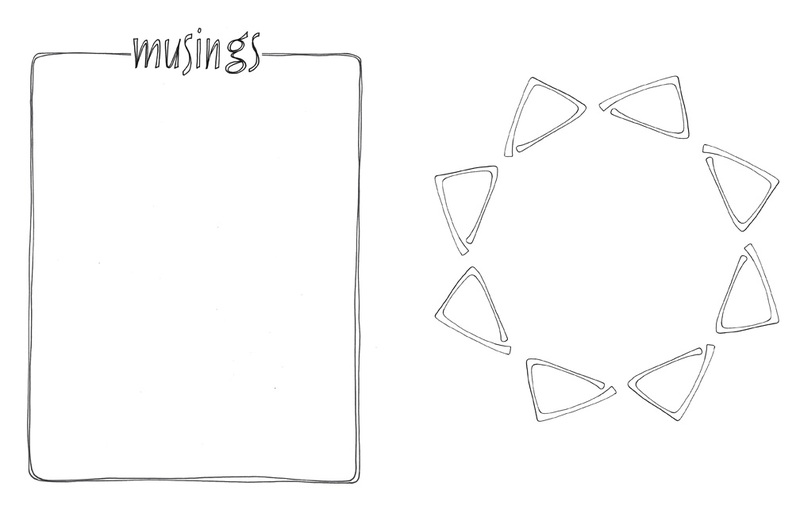 Do you want to go on a musings adventure*? 2018 Daily Musings Journals 50% off! Scroll down to learn more – the Shopping Cart is towards the bottom of the page. 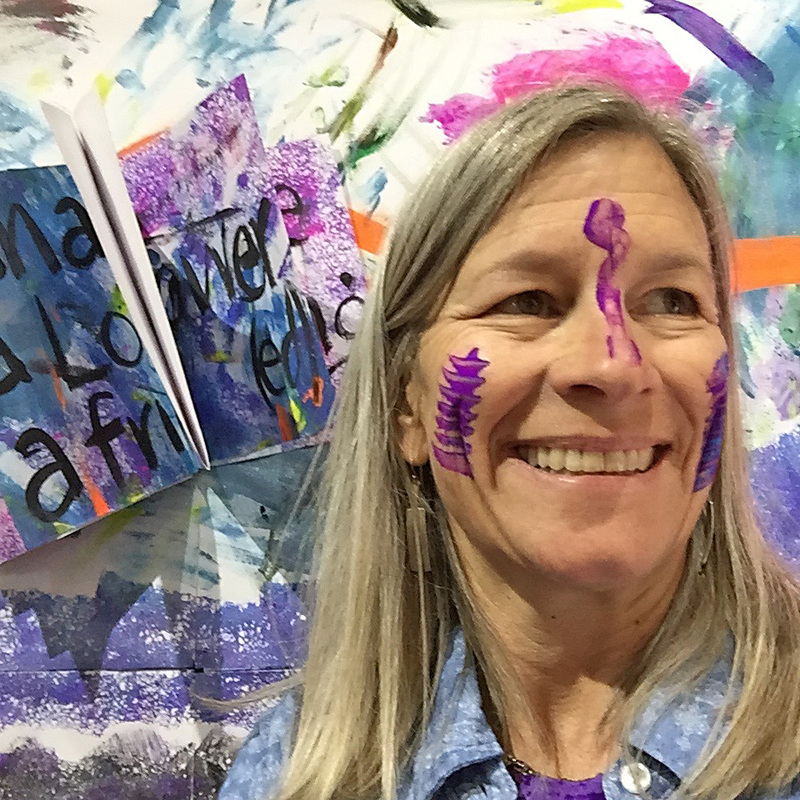 Do you want to bring some color, fun and creative play into your journaling practice? The Daily Musings Journal gives you just the right space to go on a colorful & fun musings adventure*! 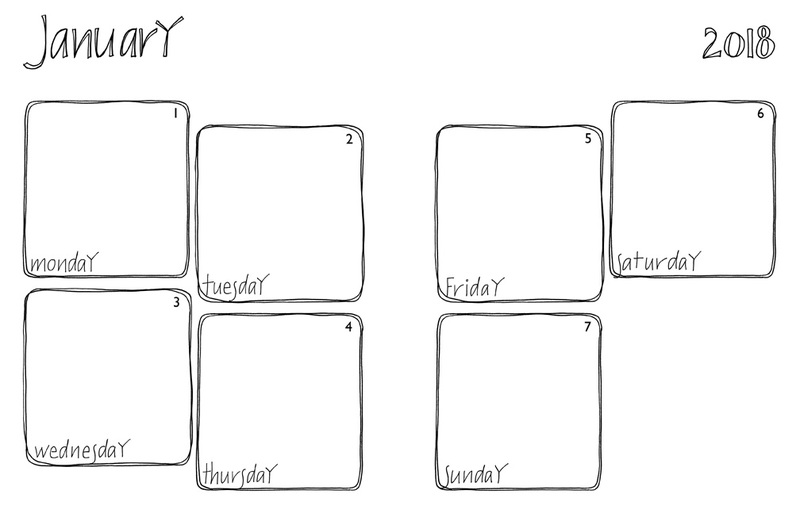 It is a relatively “blank canvas” with hand-drawn boxes set-up in week spreads for the entire year. It provides space to color, sketch and doodle, to add quotes, gratitudes, dreams — or whatever inspires you on that day. I created the Daily Musings Journal from a personal practice, and this practice has evolved into a fun “bite-sized” creative practice over the years. It all began many years ago. I first started with day planners that I bought to track my workouts, adventures, thoughts, and feelings. But soon these day planners began to feel restrictive, especially because they never gave me the same space for each day of the week. I almost started believing they were made for people who didn’t like the weekend – and fun and play. After I was sure I wasn’t going to find the kind of journal I needed to fulfill my desire for a different kind of space, I began creating my own design, using a blank spiral bound journal I made. I wanted to have the entire year ready for the adventures of the new year – before the new year started! How I use my Daily Musings Journal is constantly evolving, but I’ve settled on a design that I love. I thought, there must be others of you out there that would love to have some open, yet defined space on which to muse about your daily adventures, thoughts, feelings, gratitudes and more! 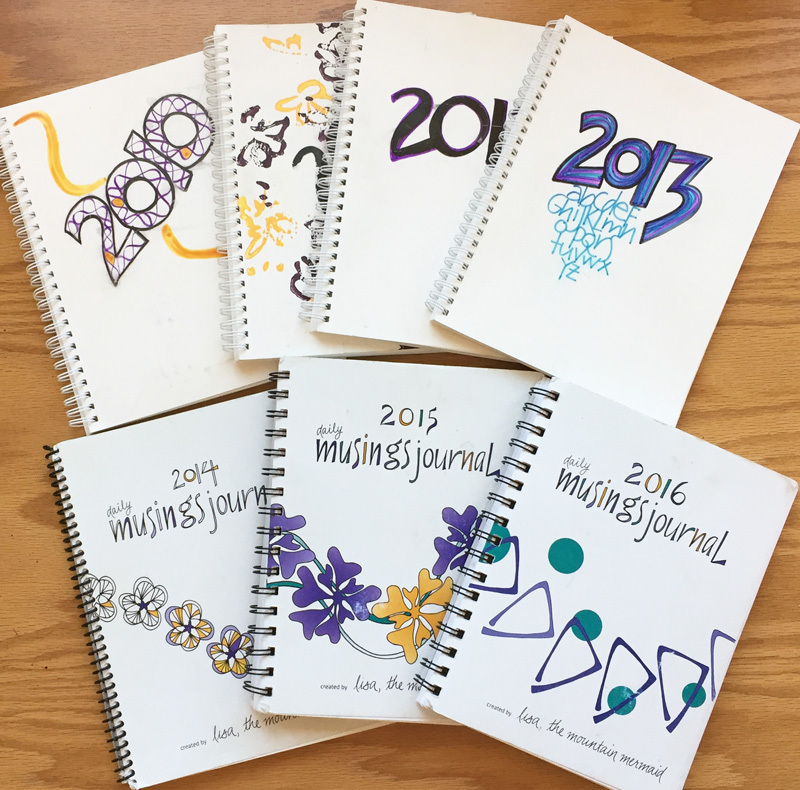 2014 was the first year I published the Daily Musings Journal and I’m so pleased to know that I’m not the only who loves journaling this way. What you’ve created, your gift of this journal inspires creativity each day! And… living in the moment. ~ Katey S.
Are you looking for a different kind of space for your musings — a journal that makes the practice of daily creative journaling simple and fun? If yes, come on in and create your own musings adventure this coming year! 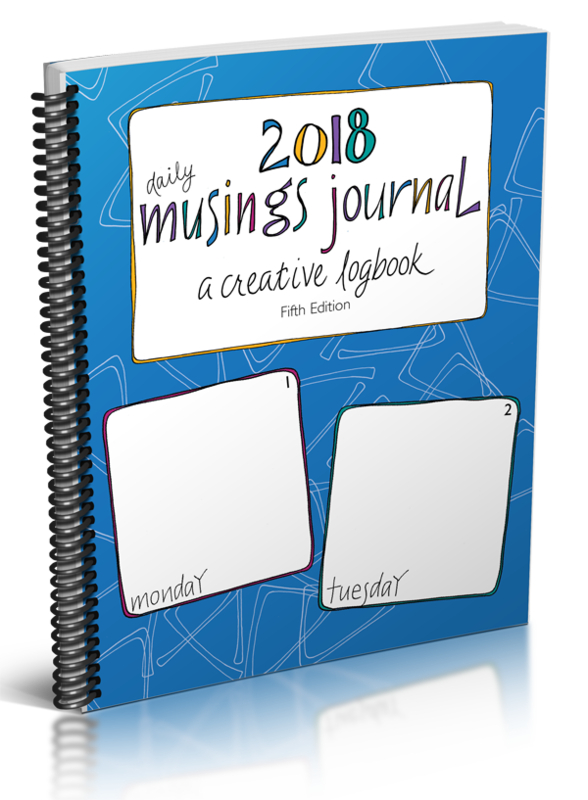 In short, the Daily Musings Journal is the perfect companion that will bring you creativity, gratitude, self-discovery, mindfulness and all the other gifts in the art of journaling. 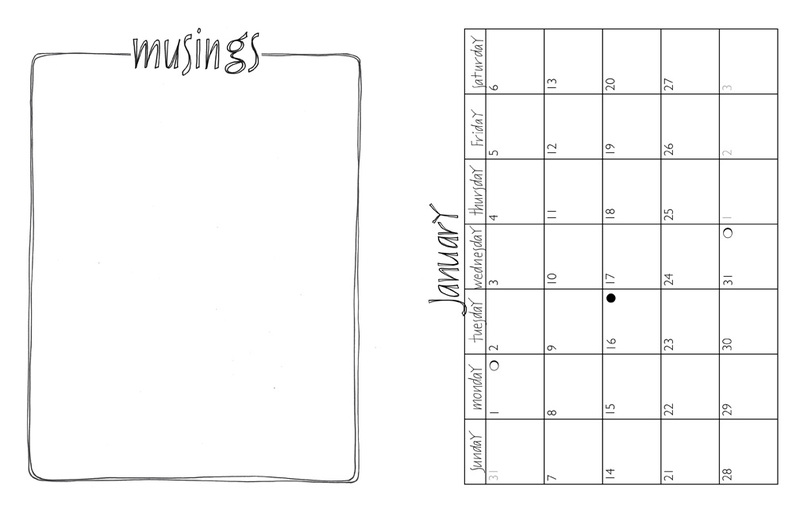 Once you start using the Daily Musings Journal, you won’t be able to do without it anymore. The clean black and white design lends itself – begs, really, for color! Thin line markers and colored pencils work really well. It’s also fun to use a plain old lead pencil to create a lovely monochromatic look. And all the lettering that looks hand-drawn (the words, along with the boxes) are… well… hand-drawn! By yours truly, Lisa – the mountain mermaid and your creative adventure guide. pssst…these journals make a great gift for that creative soul in your life, too! Printed 2018 Daily Musings Journal Still Available! If you’d like to purchase a quantity, please contact me directly at lisa (at) mountainmermaidstudios (dot) com. There is also an undated version of the popular Daily Musings Journal. If you love this format, and having dates feels intimidating check out all the details on the Musings Adventure Journal here! My chat with Sadelle Wiltshire of SadelleWiltshire.com about her Daily Musings Journal practice. My chat with Jennifer Lee of Artizen Coaching about her Daily Musings Journal practice. My chat with Debra Marrs of Writing Together about her Daily Musings Journal practice. Just a quick note to let you know how much I LOVE your journals. I have been using them for years now. For the past two years, I have used it daily. I love going back to it also and seeing what I did in the past. I love how I am now using my brain in healthy and creative ways each day. Thank you for designing these journals and sharing them with the world. ~ Sharon W.
What you’ve created, your gift of this journal, inspires creativity each day! And… living in the moment. ~ Katey S.
Lisa, aka the mountain mermaid, is a Creative Adventure Guide living in the Rocky Mountains of Colorado. She lives by the motto Create, Play, Explore. When she’s not out exploring the trails she can often be seen pedaling around town with her colorful bag of journaling supplies. Embracing her creative life is an ongoing adventure, a journey that she loves and trusts more each year – and hopes to inspire others to do the same. The Daily Musings Journal was born from her need for the perfect space for her personal creative practice of capturing her everyday magic moments. 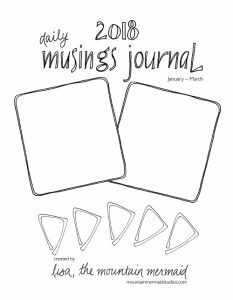 In creating the musings journal series she hopes to inspire you to cultivate your own bite-sized creative practice. She also hosts to Wild Soul Creative Painting Play Nights and other creative expression workshops. Her mermaid musings and tales share stories of her life – offering you inspiration to live your life filled with create, play & thrive. Pingback: Dreama Tolle Perry » Artist and Writer » JOY!